Four staff of First Marina Trust Limited are facing charges of fraud after they allegedly conspired and stole $500,000 (N175m) from their employer. 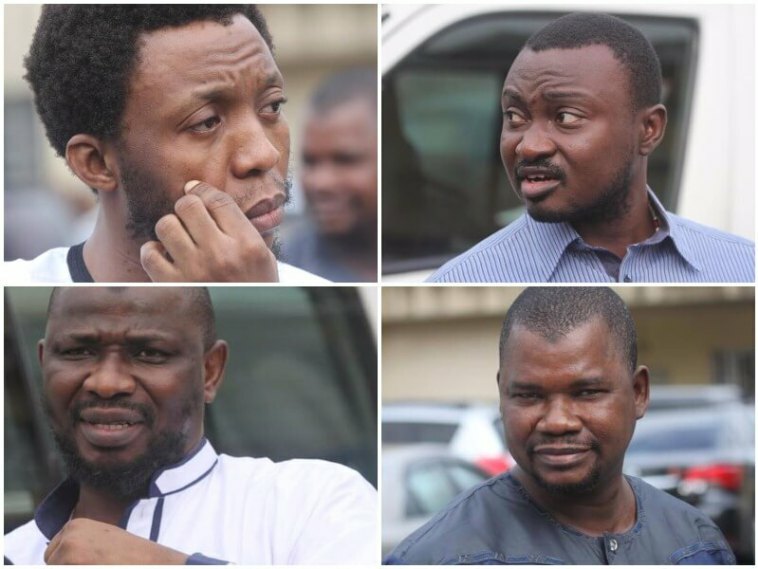 Adeyemi Oluwaseun, Suleiman Yusuf, Yusuf Imran Adekunle and Haruna Issah are the accused. They allegedly connived to defraud their employer of the huge sum. All suspects were arraigned before a Lagos State High Court sitting in Ikeja on Tuesday. Presiding judge, Justice Oyefeso ordered the defendants to be remanded in Ikoyi prison pending the hearing of the bail applications by the defence counsels. The matter was adjourned to July 11, 2017 for hearing of the pending bail.